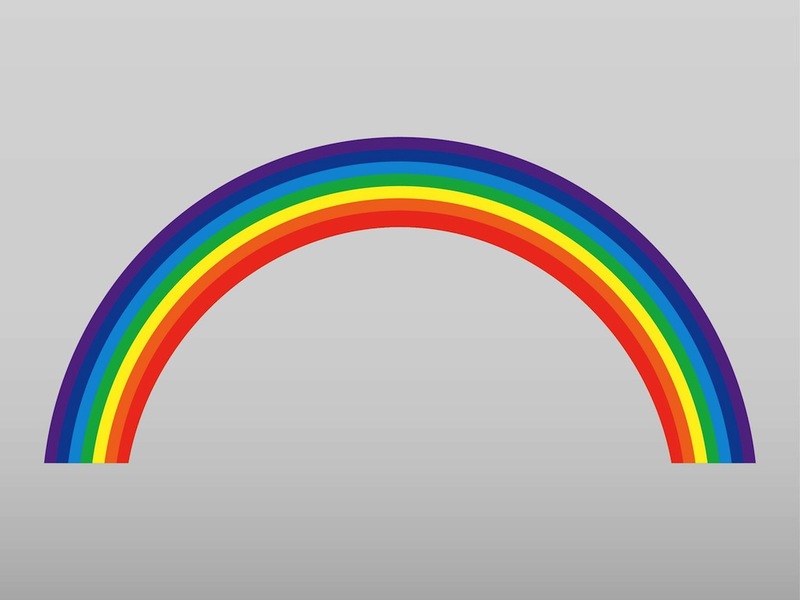 Nature vector illustration of a rainbow. Arched lines in the different colors arranged together. Colorful curved shapes forming the image of the natural phenomena. Free vector illustration to use as decoration for your wallpapers, backgrounds, backdrop images, clothing prints and greeting cards projects. Tags: Colorful, Colors, Curves, Decoration, Natural, Nature, Sky, Weather.